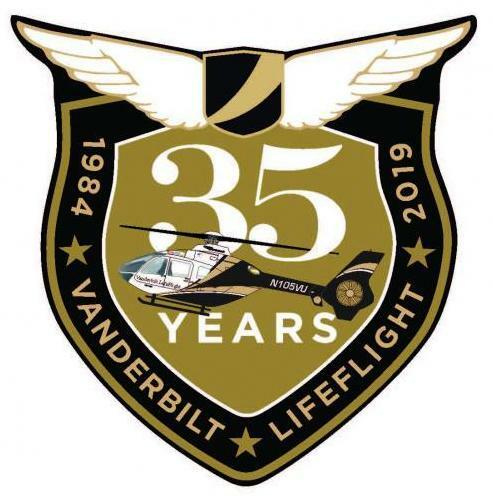 Vanderbilt LifeFlight is the critical care air medical transport service of Vanderbilt University Medical Center and the Monroe Carell Jr. Children's Hospital at Vanderbilt since 1984. LifeFlight operates as a community asset and will transport to any appropriate hospital. 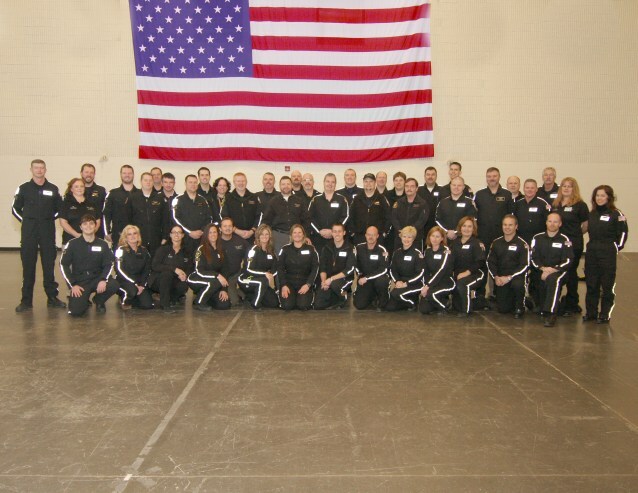 Vanderbilt LifeFlight's air operations is operated by Air Methods Corporation. All medical staffing, patient care and clinical services is provided by Vanderbilt University Medical Center. LifeFlight has nine helicopters, one airplane, and nine ground ambulances. Those include three Airbus EC 145, three Airbus EC135, two Airbus H 130T2 and one Airbus EC 130B4. and a Pilatus PC-12 airplane and specialized critical care ambulances. One of the nine helicopters serves as a backup, and the remaining eight are placed at bases. 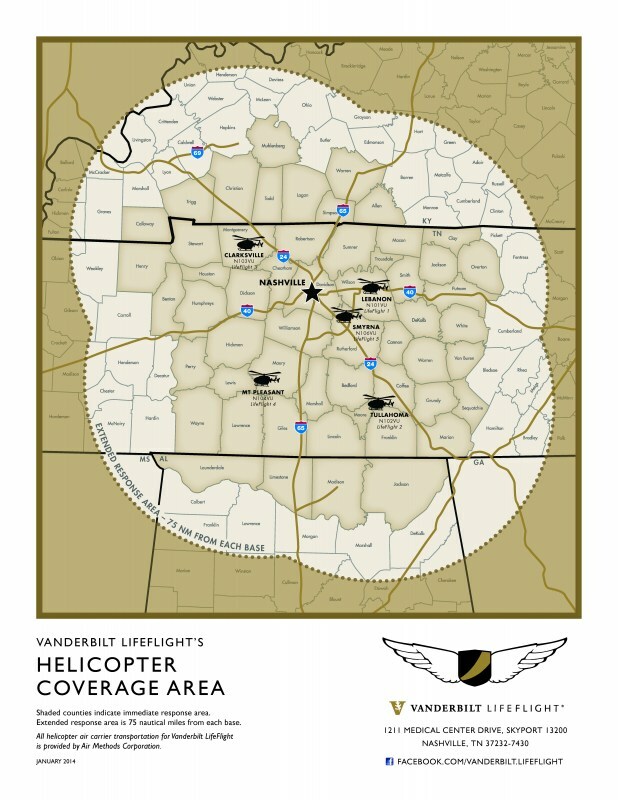 Our helicopter bases are strategically placed in Lebanon, Tullahoma, Clarksville, Murfreesboro, Mt. Pleasant, Cookeville, Paris (Henry County) and Humboldt (Gibson County), thus providing rapid access to definitive care for all of Middle Tennessee, parts of West and East Tennessee, Southern Kentucky, and Northern Alabama. Staffed by highly trained flight nurses, flight paramedics, communicators and pilots, LifeFlight provides the highest level of care during transport. 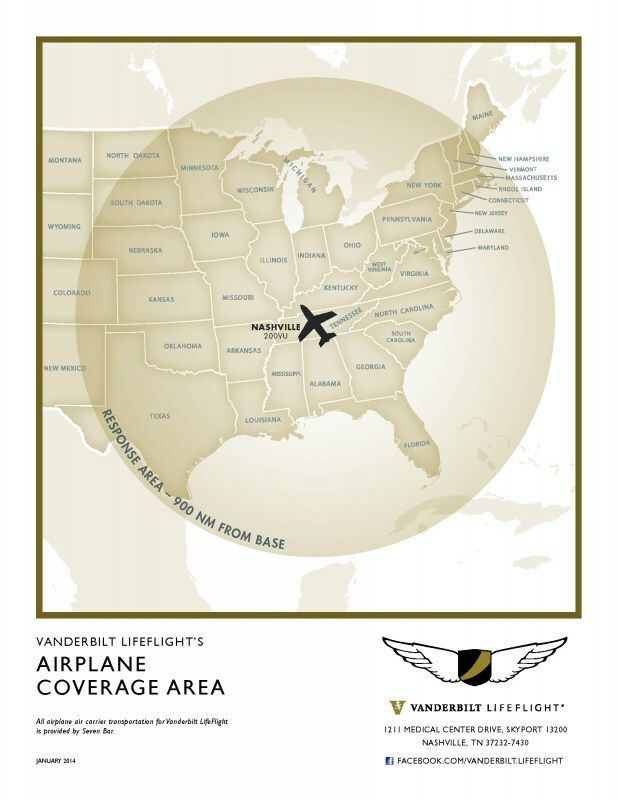 View our coverage area here - helicopter or airplane. Emergency Department attending physicians at Vanderbilt Hospital provide medical control. Specialty physicians from areas such as toxicology, obstetrics, neonatology, neurosurgery, and cardiology can be reached at all times during transport. All air carrier transportation services are provided by Air Methods Corporation. 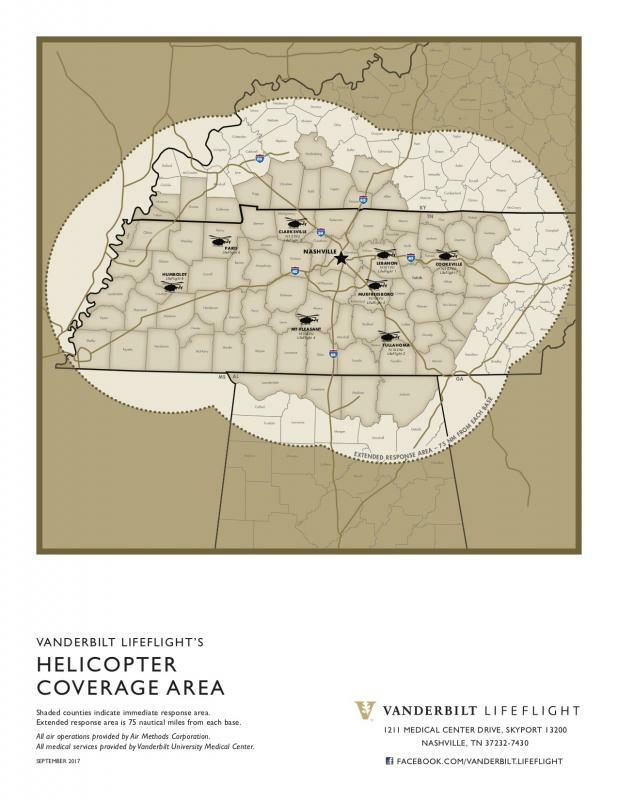 All medical staffing, patient care and clinical services is provided by Vanderbilt University Medical Center.